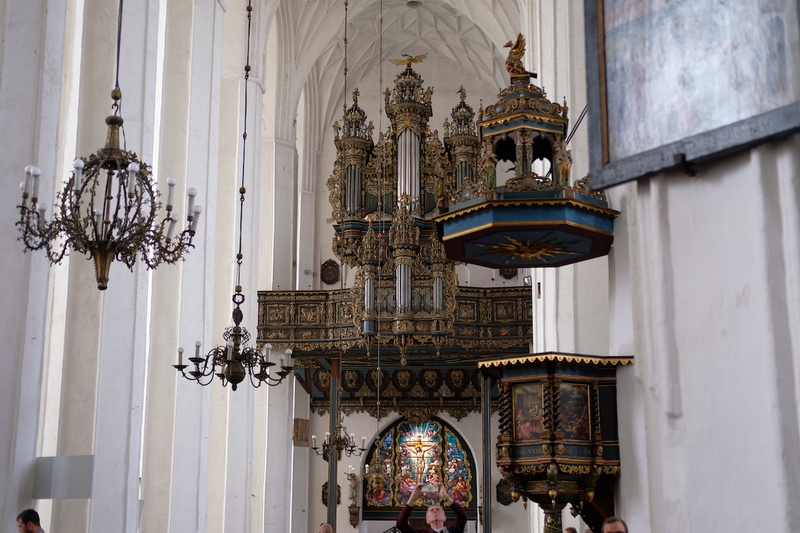 Admittedly, my return to Poland this time around wasn’t long anticipated. It just so happened that our final port of call on our cruise last year brought me back to this Eastern European country. What I didn’t know was that, just like my first Polish experience, I was going to get more than I expected. It’s imperative to note that Royal Caribbean cruise ships (and other major cruise lines) dock in Gdynia, a 40-minute drive away from Gdańsk. 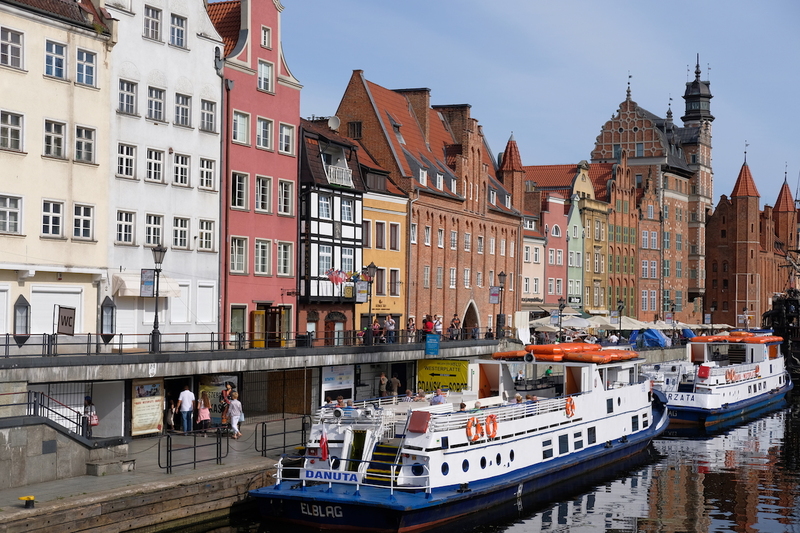 It is strongly recommended that you take one of the cruise line’s tour excursions, as there isn’t much to see in Gdynia, and it is said you’d be better off spending your day in the historical city of Gdańsk instead. 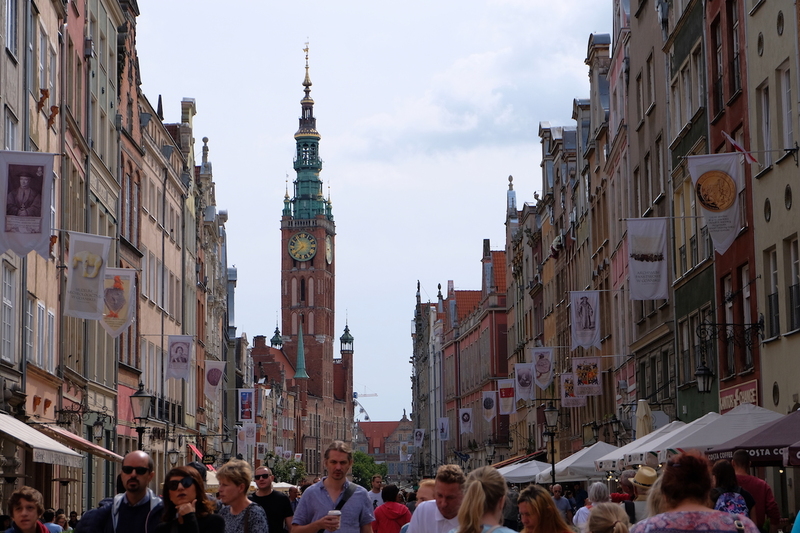 True enough, as we were driving out of Gdynia, we were glad to have listened to the experts, as the city didn’t really have much have to offer. Do note as well that there a bunch of taxis right in front of the cruise terminal that can offer to take you to the train station, which has a direct connection to Gdańsk and will cost incredibly cheaper, but we decided to go with the tour given the reasonable rates the cruise line offered. 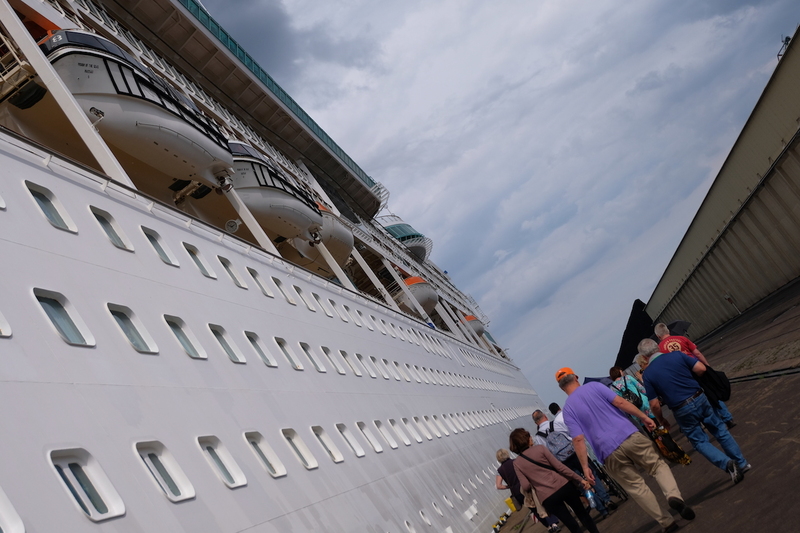 This post will focus mainly on what we saw and did during this cruise tour excursion, which can also serve as a guide for those who decide to do their own day tour. Note that the list below was done and visited in chronological order, so as long as you have GoogleMaps at hand, you can easily get from one point to the next with this list. Arriving into Gdańsk about two hours past the time our cruise ship first docked in Gdynia, we began our day in the Old Town, as we walked past the city’s panoramic ferris wheel and onto the Zielony Most, also known as the Green Bridge. 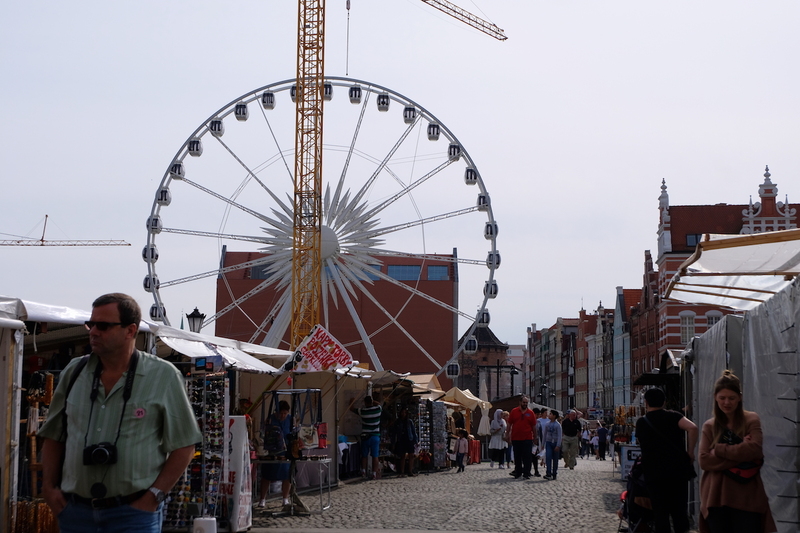 During weekends, there’s a market on the bridge, which actually leads to the main entrance to the Old Town and onwards to the Long Market Street – but more on that later. 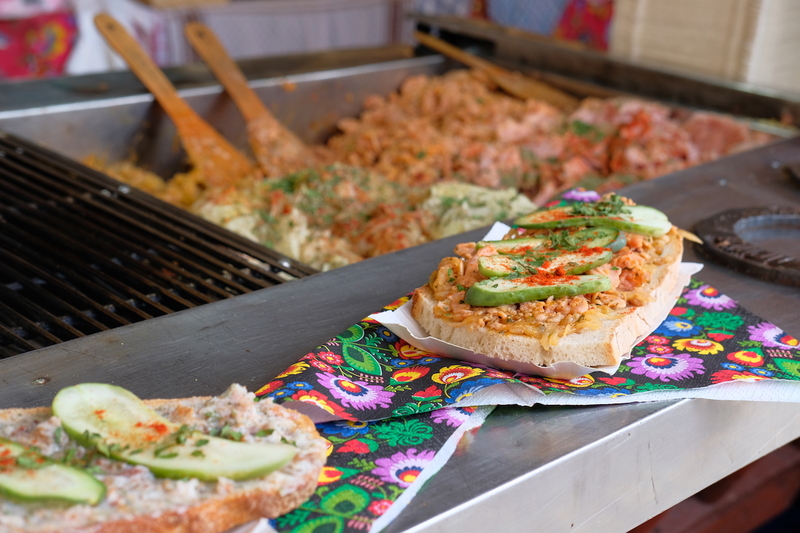 If you’re fortunate enough to be there while the market is open, do keep an eye out for local finds or delicious goodies, like the one pictured below. 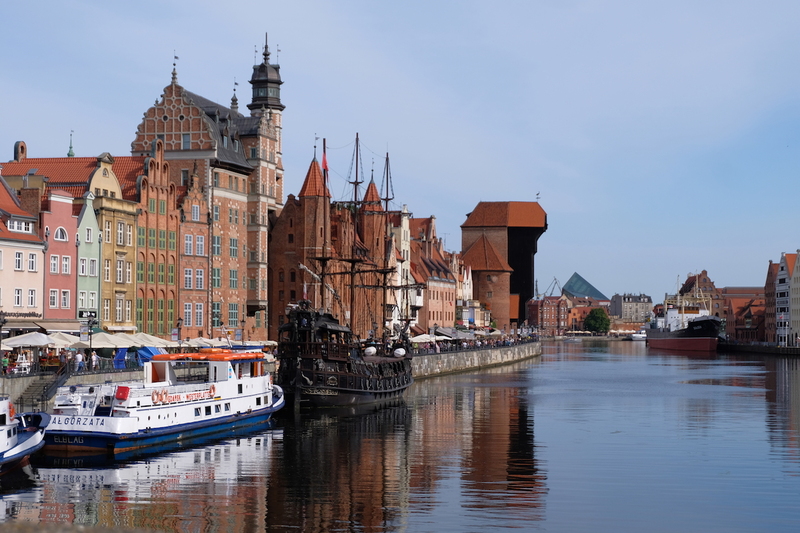 The Motława is a river that courses through the city of Gdańsk and its vicinity. You can get a fantastic view of the river from Zielony Most, which serves as a great introduction to what you’re about to see in the Old Town itself. 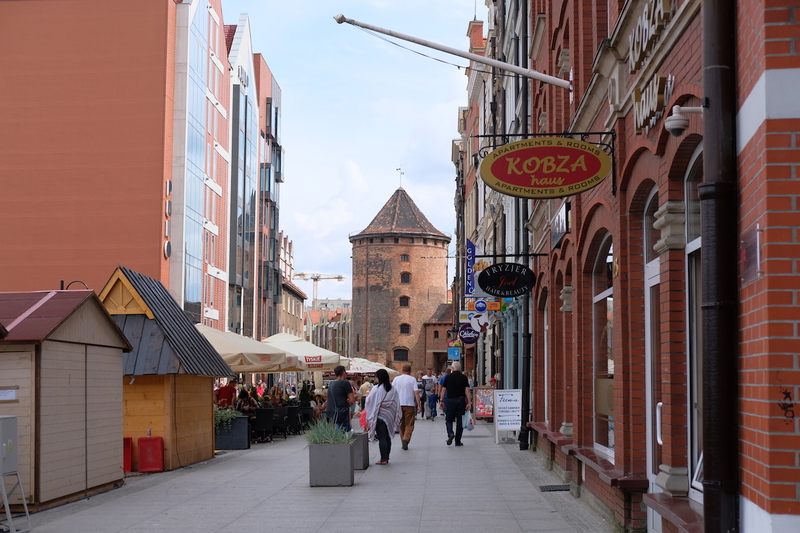 Right beside Zielony Most is the Green Gate, the main entrance to the Long Market Street in the Old Town. 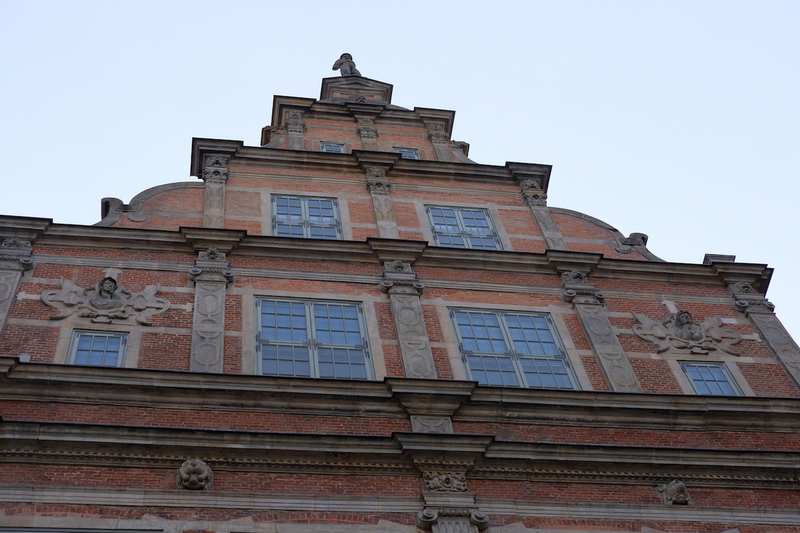 At first glance, you’ll notice that this structure could easily have been in Belgium or the Netherlands due to its Flemish architectural style that actually dates back to the 16th century. Past the Green Gate are the adjoining Long Market and Long Lane that are home to several of the city’s main attractions, such as Neptune’s Fountain. 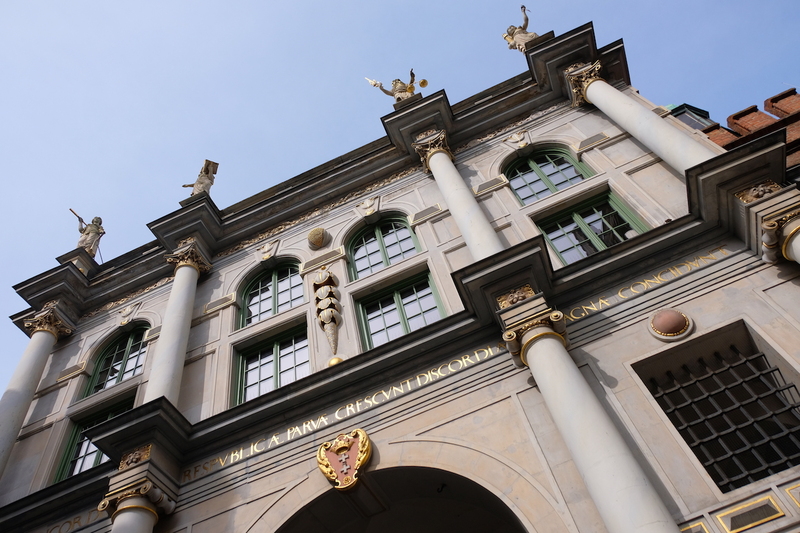 The gorgeous structure that fronts the Artus Court was completed in 1633, but has since been renovated given the damage brought about during World War II. 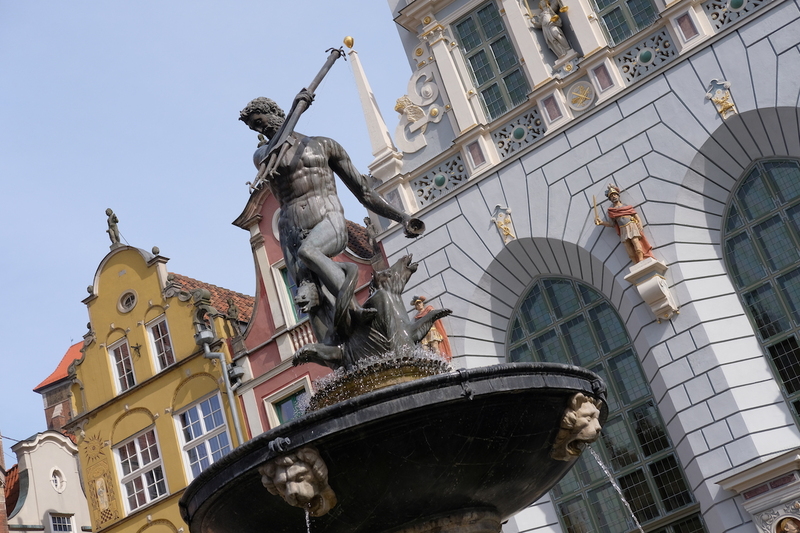 Sitting less than 50 meters from Neptune’s Fountain is the city’s Main Town Hall housing the clock tower. A tip: there’s a very small staircase (about 10 steps up) fronting the Clock Tower that you could climb up to get an incredible view of Long Market Street. From the Town Hall following the Long Lane till the end, you’ll find yourself at the Golden Gate, a historical landmark – as it is one of the most significant attractions in the whole city. Although this stands true for several of the attractions therein, its importance lies in the statues it holds that represent the virtues of Peace, Liberty, Wealth, and Fame. This is another structure that was damaged during WWII, but was rehabilitated in the 1990s. Half a kilometer from the Golden Gate is the Basilica of the Assumption of the Blessed Virgin Mary, more aptly known as St. Mary’s Church. This Roman Catholic church has a long historic background, specifically completed in 1502, that exhibits brick Gothic architecture. 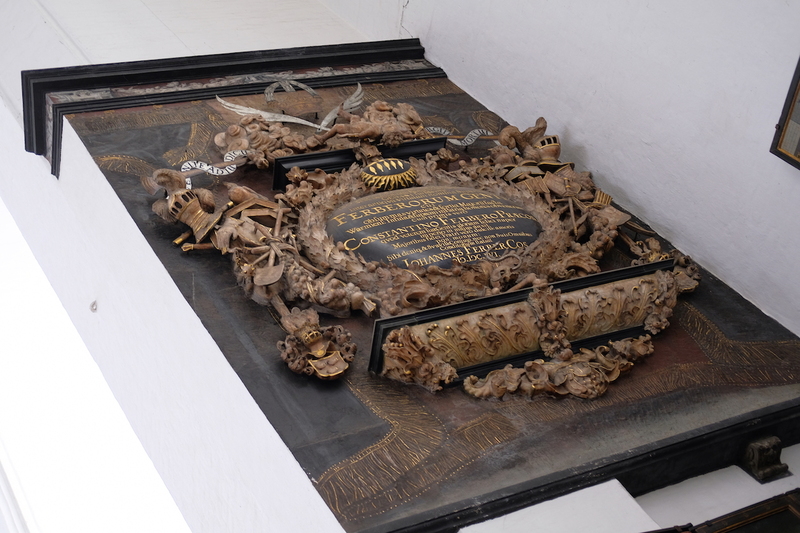 While its interiors do not compare to the likes of St. Stephen’s Cathedral in Vienna or St. Patrick’s Cathedral in New York – both of Gothic architecture but of different classes, it’s the size and the history that makes it a must-see. 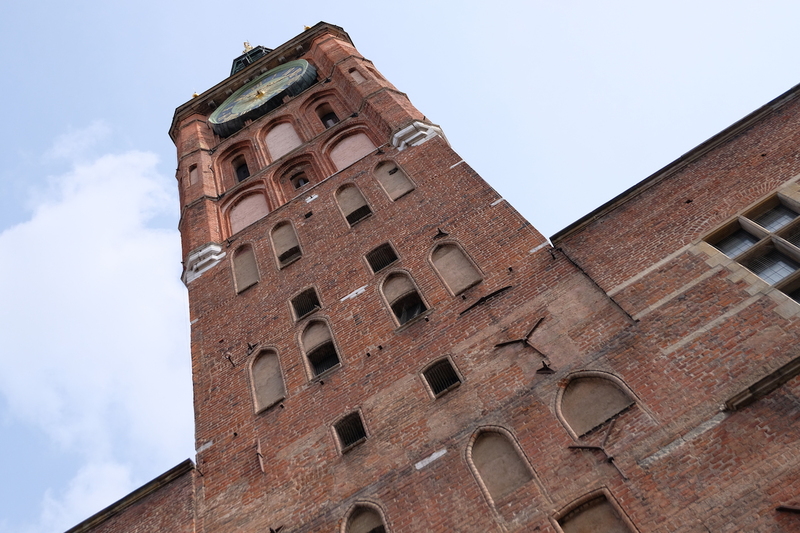 Dubbed as the largest brick church in Europe, if not the world, St. Mary’s was severely damaged in WWII. There was a collapse in some parts of the structure due to the roof being burned down during the war; but alas, its restoration has made it look like everything remained untouched. Located beside St. Mary’s Church is St. Mary’s Street, locally known as Ulica Mariacka and otherwise known as the “Amber” street. 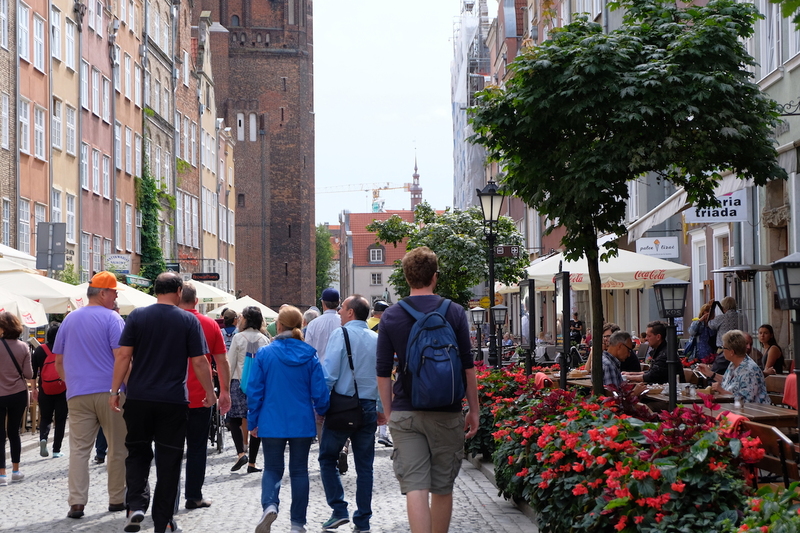 This cobblestone street is one of the most picturesque areas in the Old Town, but is more popularly known for one thing: Amber. 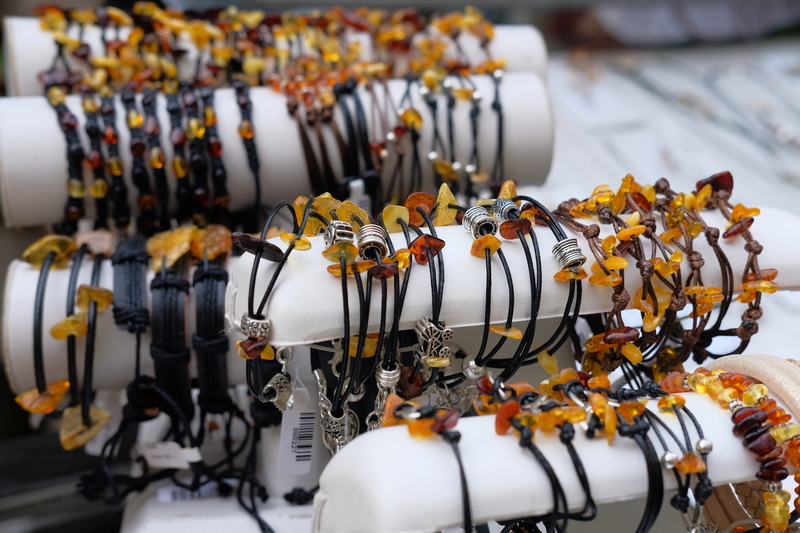 Amber is one of the most prized treasures you can find in Gdańsk, and as advised by our tour guide, this street is where you can get the best Amber finds should you be interested. 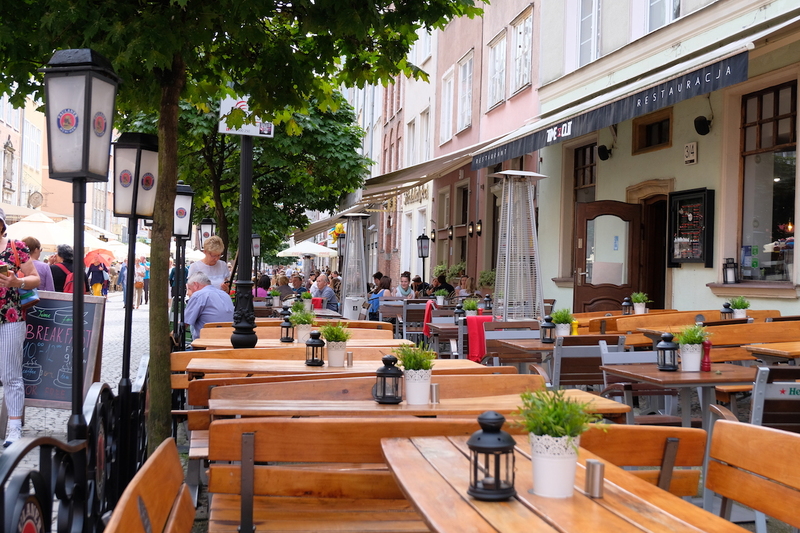 As our tour ended right after exiting Ulica Mariacka and finding ourselves right by the Green Gate once more, we decided to spend the rest of our remaining free time in some areas in the Old Town we hurried past earlier. 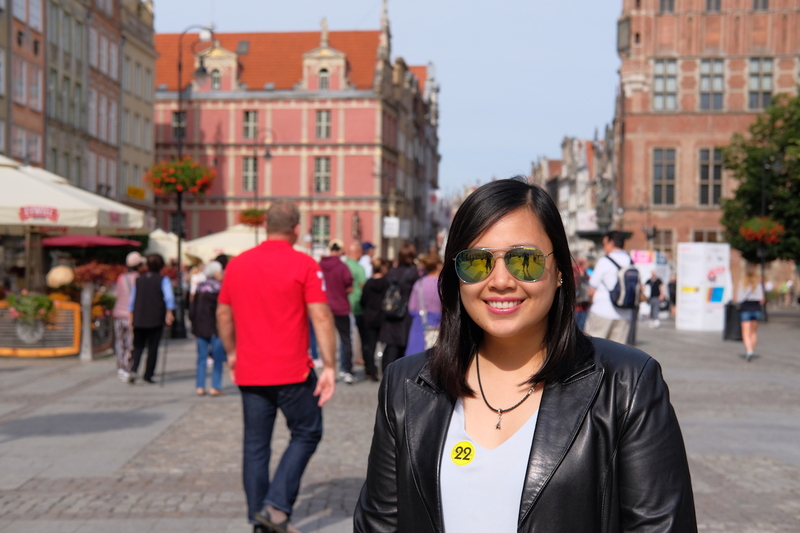 Piwna Street, located right beside St. Mary’s Church is a must-see, as its narrow pathway with its beautifully-designed buildings surrounding the cobblestone road make a perfect backdrop for your photo. 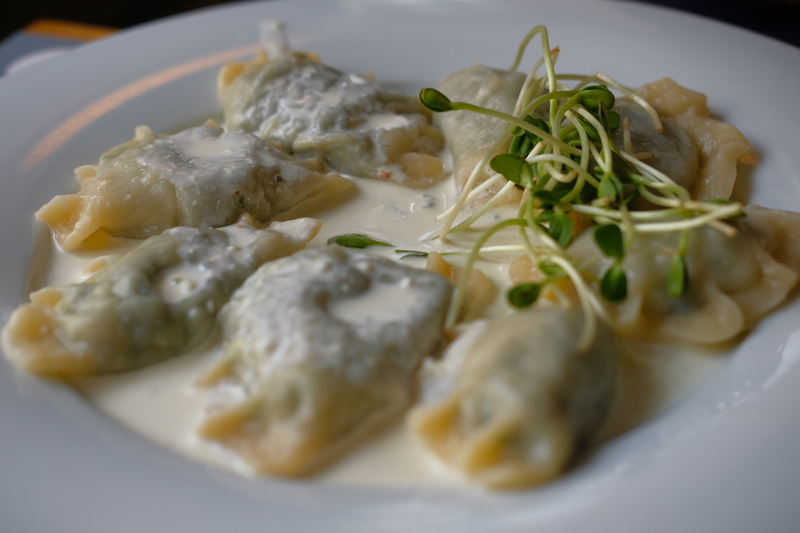 More importantly… in my case at least, this is where you can get an order of the must-try dish in Poland, a local delicacy I was first introduced to in Kraków way back in 2014 – Pierogi. Our tour guide highly recommended Pierogarnia u Dzika, pictured below, but was full when we got there. 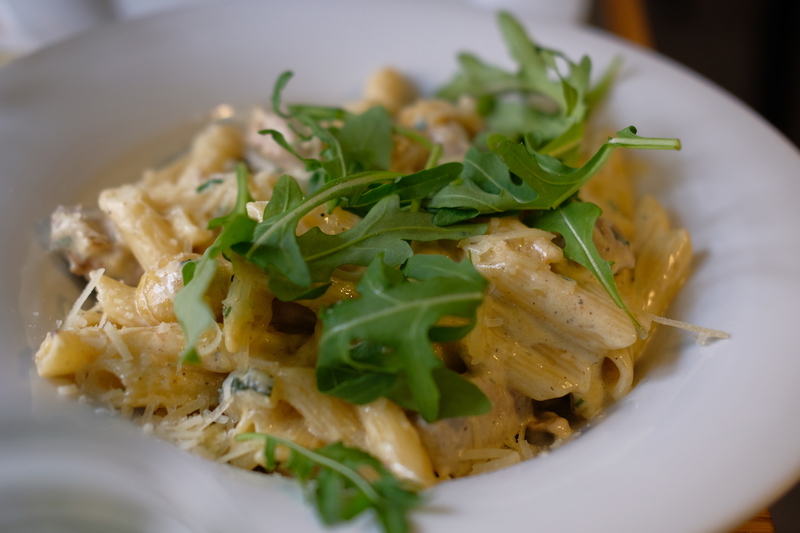 So we decided to go across the street to Restaurant Kos, which did not disappoint. 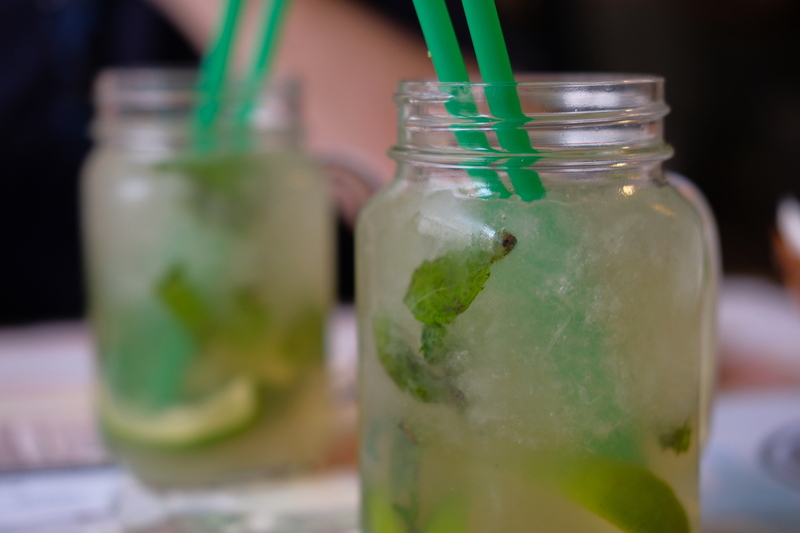 Pierogis and Mojitos, with an additional order of Pasta; getting reacquainted to one of my favorite local dishes was a great addition to the already-fantastic day we were having. 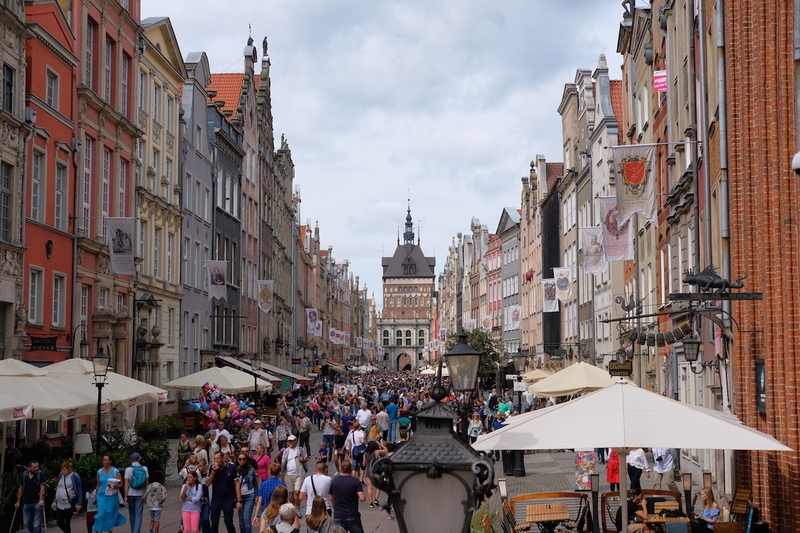 The rest of the afternoon was spent along Long Market & Long Lane, which was jam-packed with tourists come early afternoon, but still worth squeezing into. 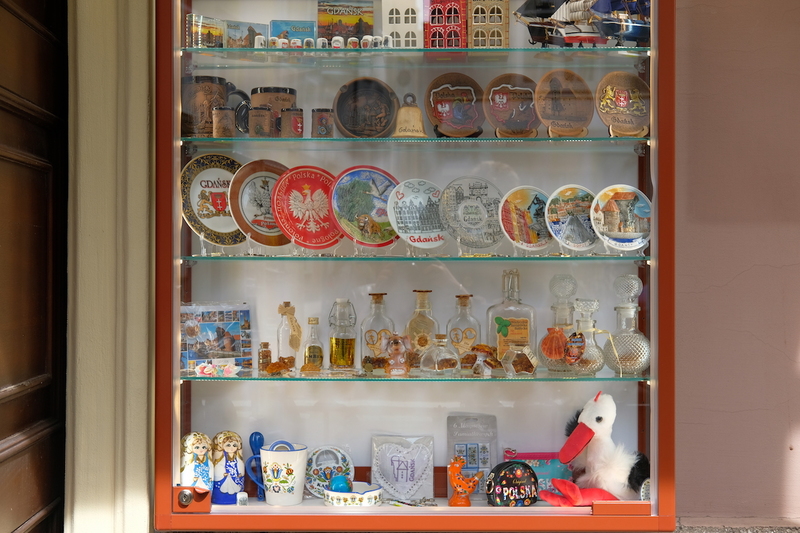 Here’s where you’ll be able to shop for local souvenirs. 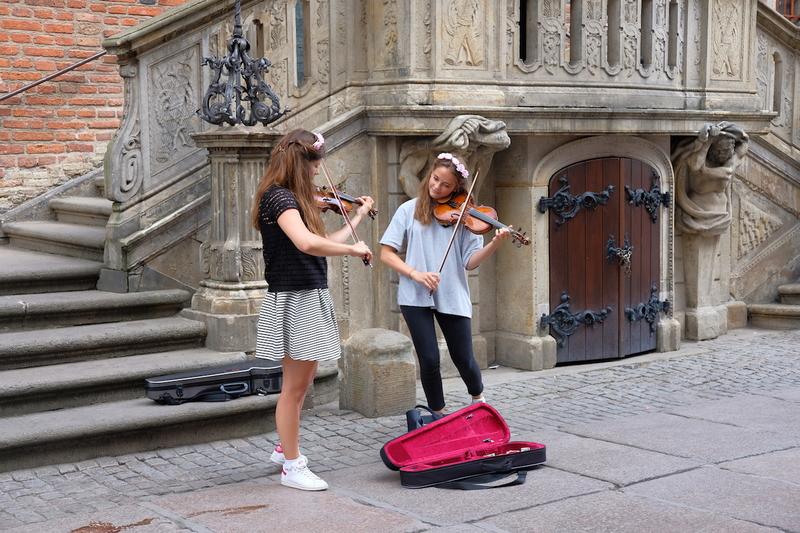 And as a bonus, you’ll come across great street performers like we were fortunate enough to have done so. Ending our day in the city, we met in the very same spot where we were dropped off (pictured below) to catch our transfer back to the port in Gdynia – this was included in our cruise excursion package; but before leaving Gdańsk, we got a glimpse of the Gdansk Shipyard, otherwise known as “Lenin Shipyards,” and also the Solidarity Square Monument, as we drove past it. The city, as previously mentioned, is rich in culture and architecture, but more importantly: in history. 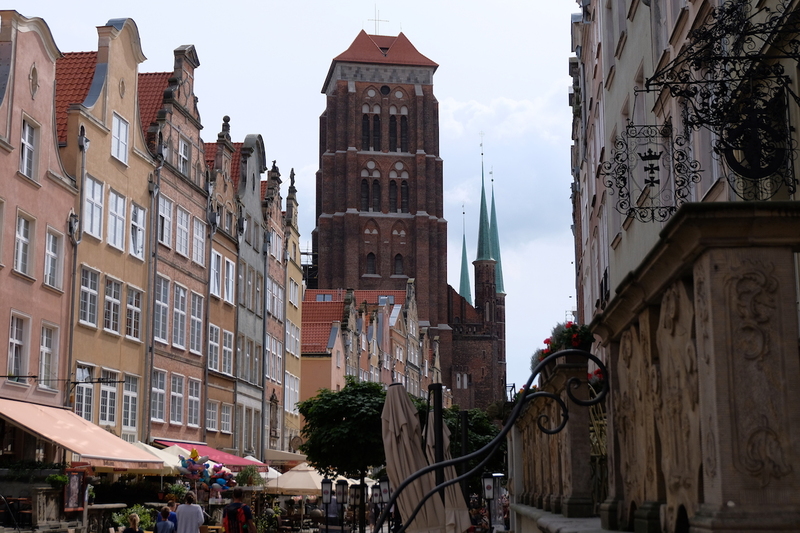 Not known to many, but right by the borders of Gdańsk within Polish lines, is where World War II began. Despite withstanding the tests of time and war, this city has flourished and has grown to be one of the most architecturally-beautiful places I’d visited. 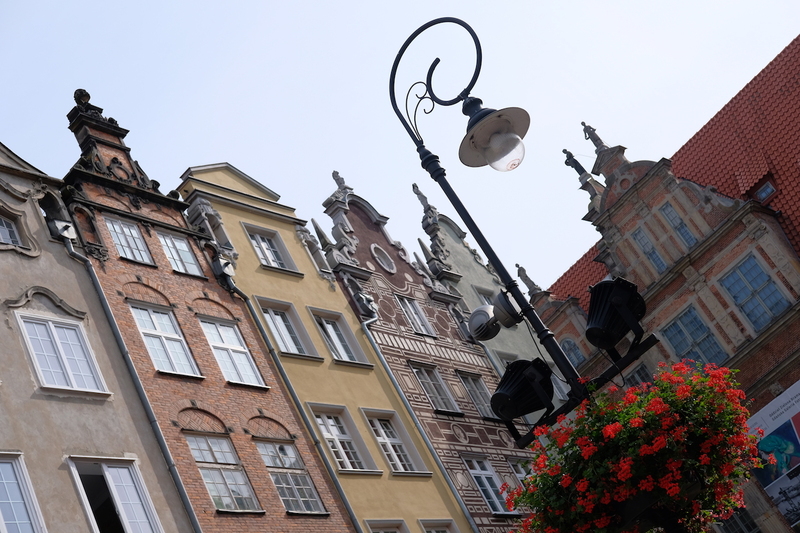 Underrated as it is, Gdańsk should surely be on your list of must-visits.